Find answers to some of our most common questions. Don't see your question? Contact customer service at 1-800-578-9023 or use our contact form. How do I place an order with ServiceWear Apparel? Yes. This contract has been competitively bid by a government agency. Region 4 Education Service Center (ESC) in Houston, Texas is ServiceWear Apparel’s lead public agency. Region 4 ESC is one of the largest regional education service centers in the nation, founded to assist school districts and charter schools in improving efficiencies and student performance. This contract (#R160801) was awarded on October 25, 2016 and all of ServiceWear Apparel’s current and future customers are eligible to “piggyback” off the contract under the cooperative National IPA. When does ServiceWear Apparel's National IPA contract expire? ServiceWear Apparel's contract is five years with two additional one-year options to renew. Are there additional charges for oversized or nonstock garments? Regardless of size, if the manufacture offers a wide range of sizes, you pay the same low price for all. Is there a minimum order charge and are there additional freight charges? There is a $100 minimum order threshold. There are no additional charges for freight. 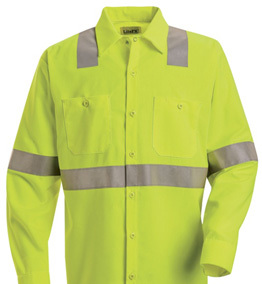 Does ServiceWear Apparel offer garment customizations? Yes! ServiceWear Apparel offers over 6,000 customization options, including embroidery, emblem attachment, monogramming, pant hemming and more. Over 300 dedicated customization operators embroider more than 1.6 million customized logos annually. See more of our customization options. ServiceWear Apparel can create a logo from scratch or digitize and re-work an existing image. We offer a wide selection of thread colors constructed from a 60% poly/40% cotton blend that ensures vibrancy as well as colorfastness. Browse our embroidery gallery.